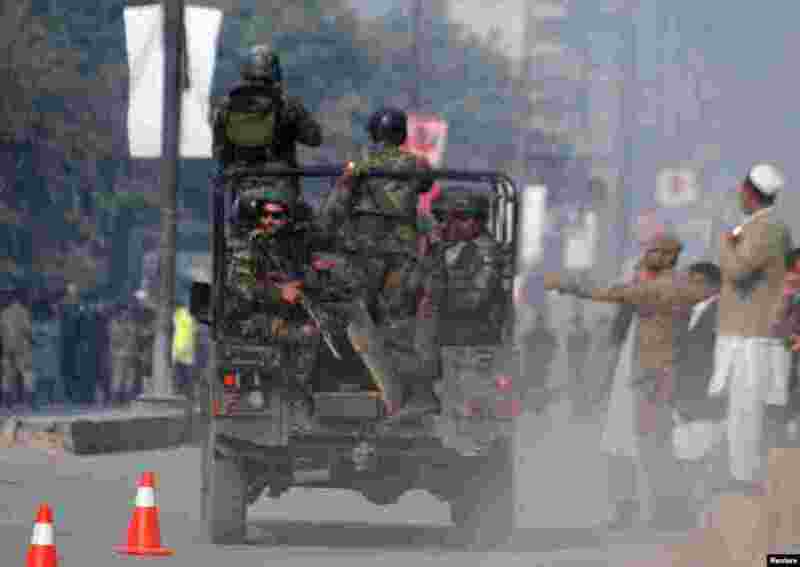 1 Pakistani security forces drive on a road leading to the Army Public School that came under attack by Taliban gunmen in Peshawar. 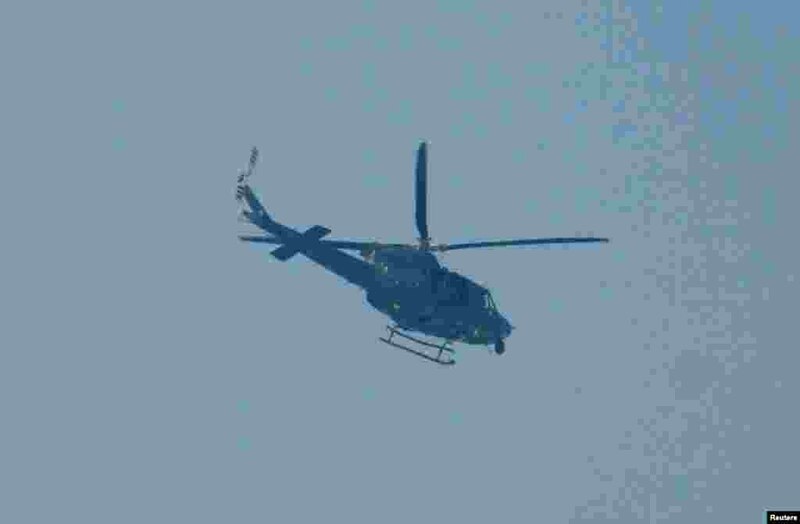 2 A Pakistani Army helicopter flies over the school. 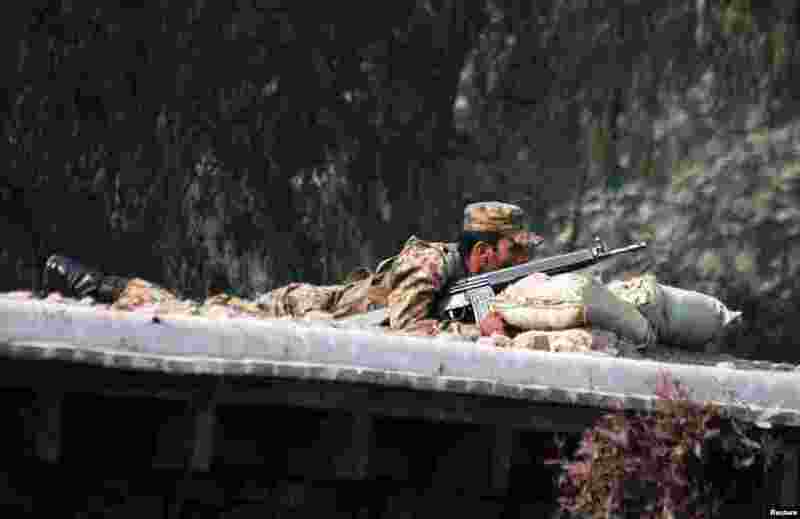 3 A Pakistani soldier takes up a position above a road near the military school. 4 Ambulances drive away from the military school. 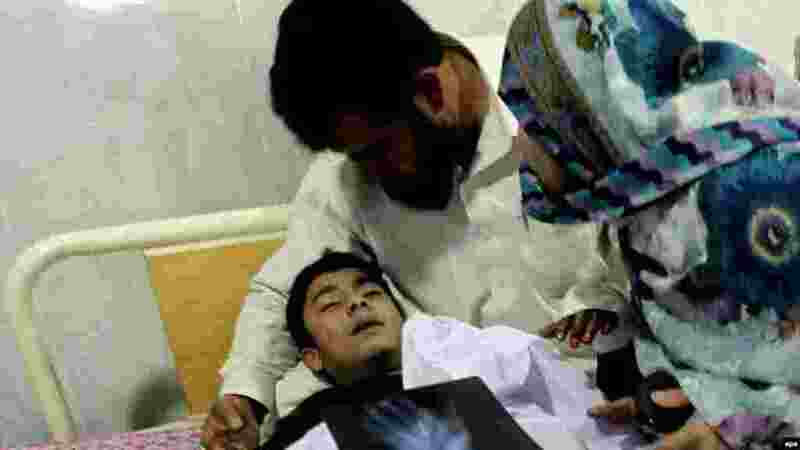 5 A schoolboy who was injured in the Taliban attack receives medical treatment at a hospital in Peshawar. 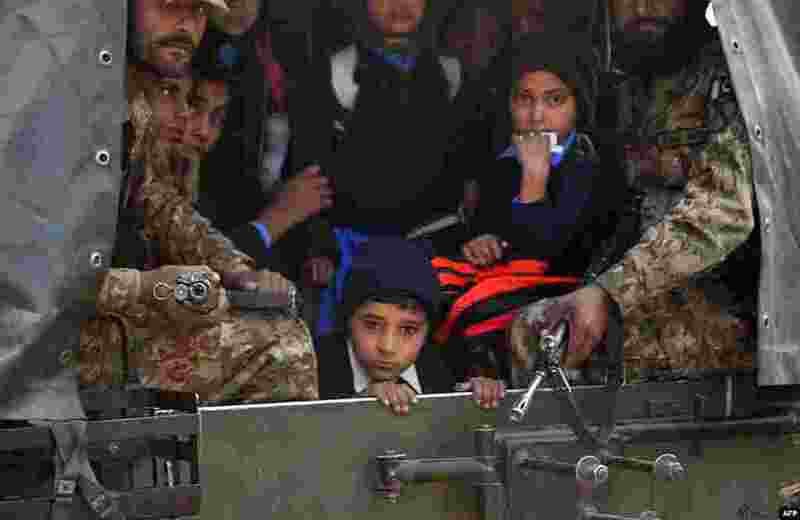 6 A soldier escorts schoolchildren after they were rescued from the Army Public School. 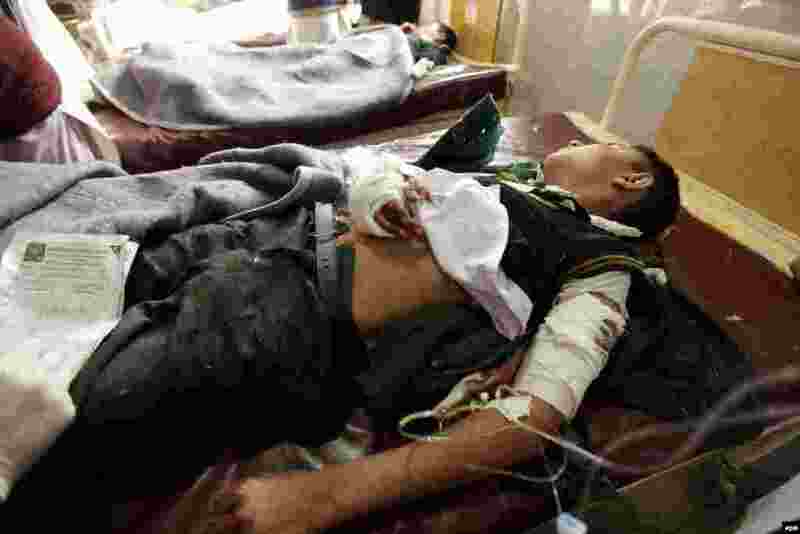 7 A schoolboy who was injured in the Taliban attack receives medical treatment. 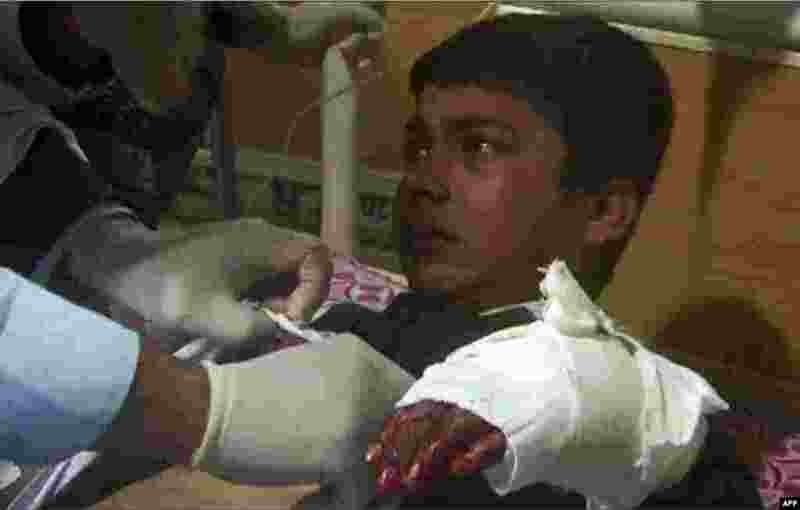 8 An injured student receives medical treatment. 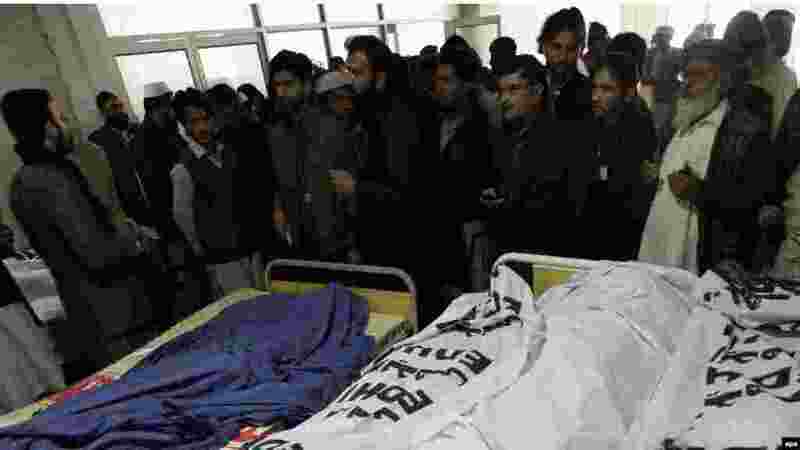 9 Relatives and rescue workers stand beside the bodies of schoolchildren who were killed in the Taliban attack. 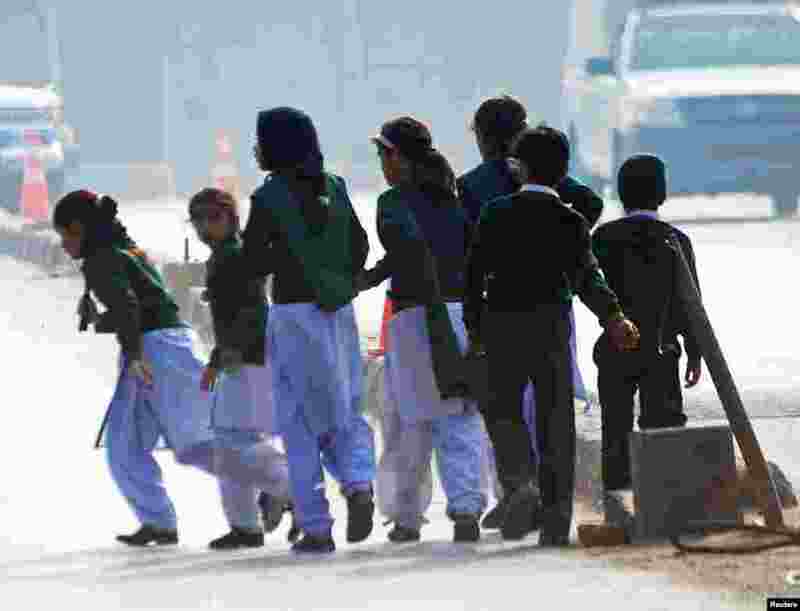 10 Schoolchildren cross a road as they move away from the military school. 11 A man talks on a phone while comforting a student outside the military school. 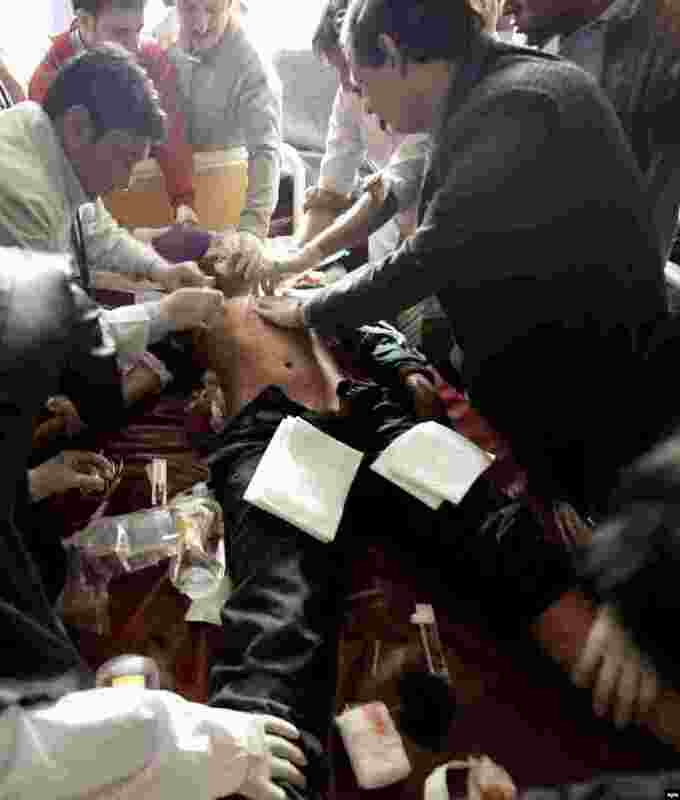 12 A child receives medical treatment. 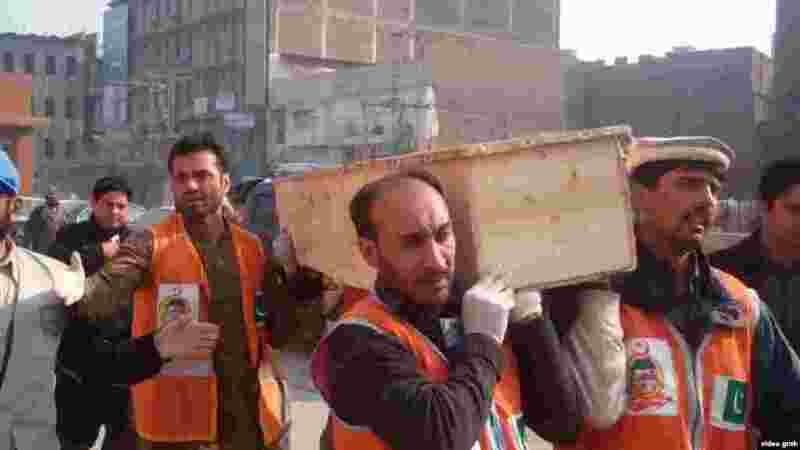 13 As the death toll from the attack rose, coffins were seen being loaded into vehicles in front of the hospital. 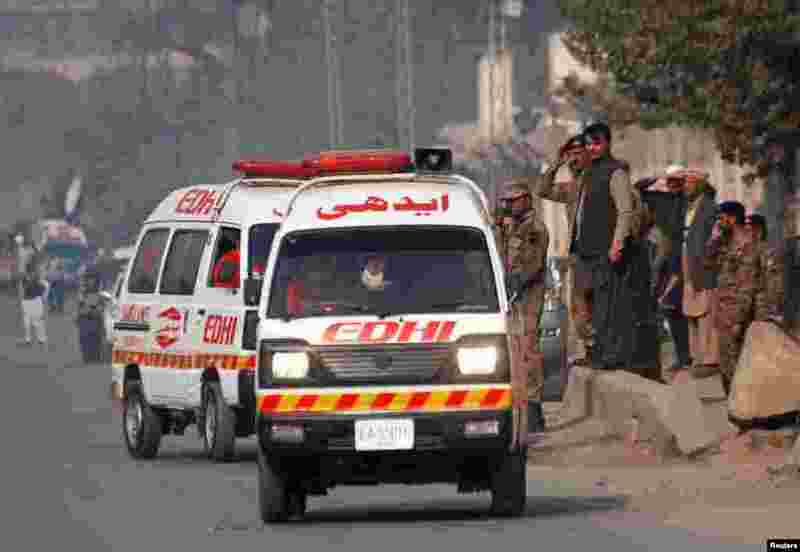 14 Pakistani soldiers transport rescued schoolchildren from the site of the attack.